Plain canning jars can be transformed into whimsical holiday decorations with creative wraps and adornment, and these filled and embellished whimsical holiday decorations give any home a touch of country holiday style. Whether giving jars as Christmas gifts or using them to decorate your home, you’ll find decorating them enjoyable and entertaining. 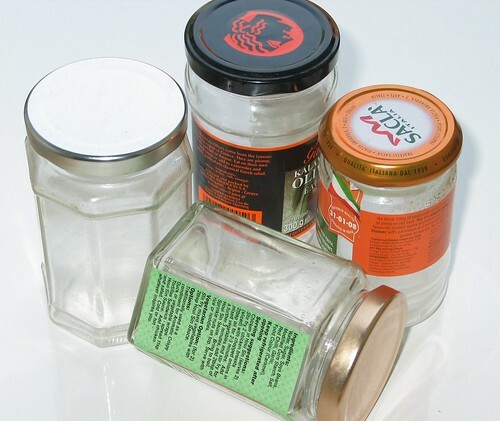 When the holidays are over, wrap your jars carefully before storing them. Fill a clear jar with interesting items to make a seasonal focal point for a table. Give your room a nice scent by adding pine or mulberry scented potpourri to an open decorative jar. Other items you can use for filling jars include collections of glass ornaments, vintage glass light bulbs or decorative beads. Small wooden toys, even toy blocks, also make classic fillers for holiday jars. Give your decor a bit of sparkle by adding a small strand of battery-operated lights to a jar of colored tulle. Don’t forget about sweets. Just add some festive sweets to turn it into a delicious Christmas food gift. Wrap up Christmas jars with a variety of paper and fabrics. Colorful tissue paper with holiday motifs printed on it, like green mini Christmas trees or golden angels, capture the decor of the season. Gather the tissue paper around the lid, securing it with curling ribbon or a strand of tinsel garland. Other good wraps for jars include tulle fabric, silk or even burlap. A small length of silver rope or a tassel will cinch the wrap in place. Glass is a receptive medium for craft paint and paint markers. Purchase a Christmas stencil, and use it as a guide to paint a seasonal scene on your jars. You may have to tape the stencil in place to avoid making a mess. Try sponge stamps to apply unusual patterns or images. Paint markers make writing a message like “Merry Christmas” or “Happy Holidays” as easy as a flick of the wrist. When you don’t want to take the time to dress up the glass portion of the container, give it a swanky, holiday topper. Create a variety of edges by using pinking shears to trim squares of fabric. Place fabric squares or circles between the outer ring and the flat top of the lid then screw it in place. Remnants pieces are typically large enough to cover the tops. Pick cotton fabric with candy cane or gingerbread man prints. Sleek satin ribbon provides an attractive accent.